Okay, really, it's not an April fool. 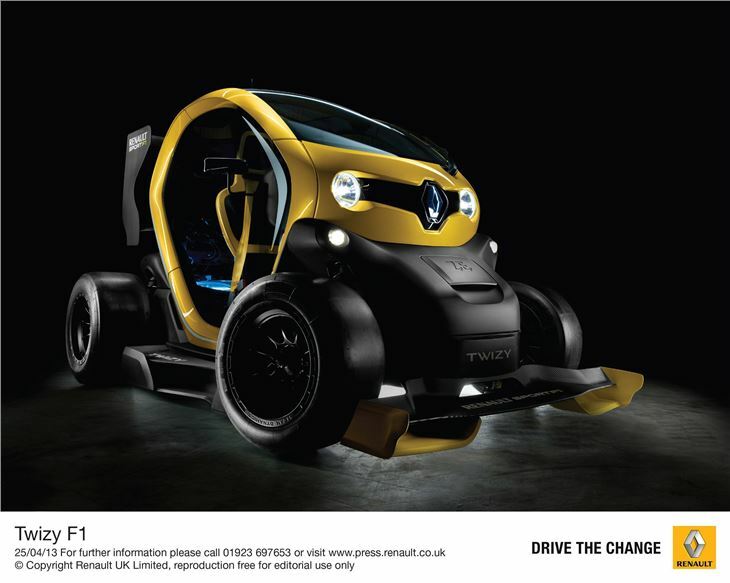 Renault really has applied Formula 1 technology to its Twizy electric commuter car to create the year's most unusual performance car. 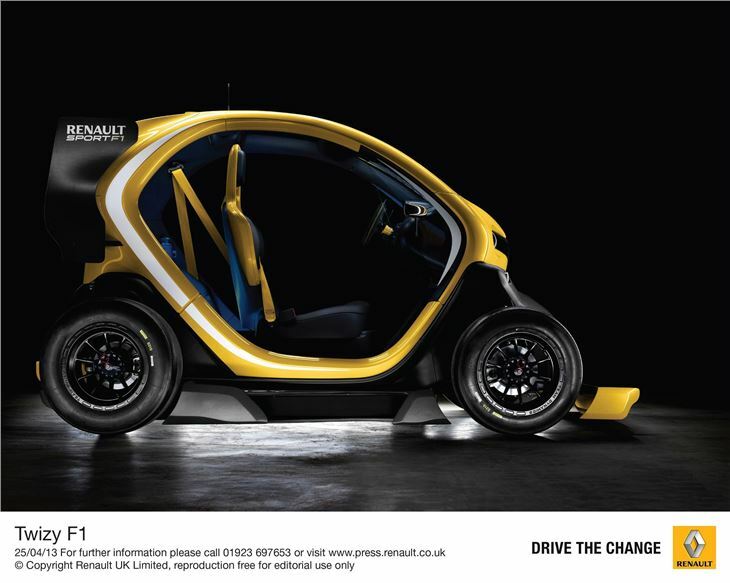 The Twizy Renaultsport F1 concept turns in a 0-60mph time of less than 6.0sec, thanks to the application of a Formula 1 Kinetic Energy Recovery System (KERS) set-up. 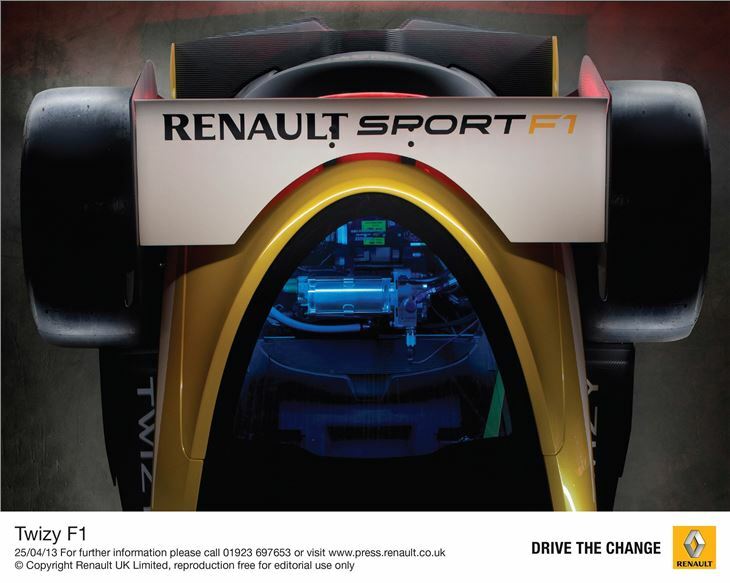 The concept develops 80PS compared with the 17 of the standard car, and its additional grunt is via the 30kg KERS system, taken straight from Renaultsports's Formula 1 drivetrain. 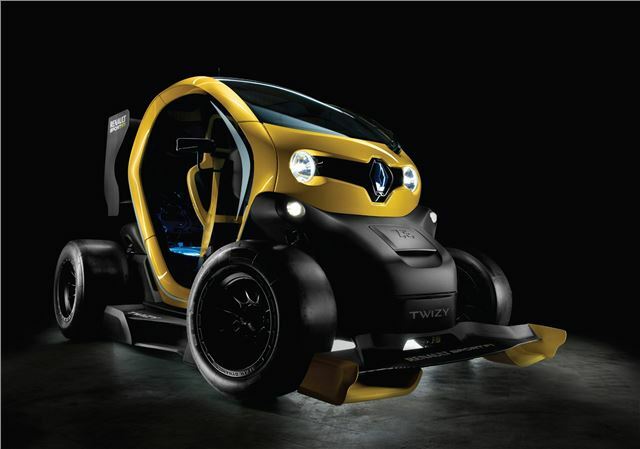 It features an electric motor, lithium-ion batteries and replaces the rear seat in the Twizy. KERS works by recovering lost energy under braking, which is then stored in the battery. The KERS system has been modified so that it draws power from the Twizy’s main electric motor - so boost is always available. Maximum speed in 'Boost' mode is 68mph. 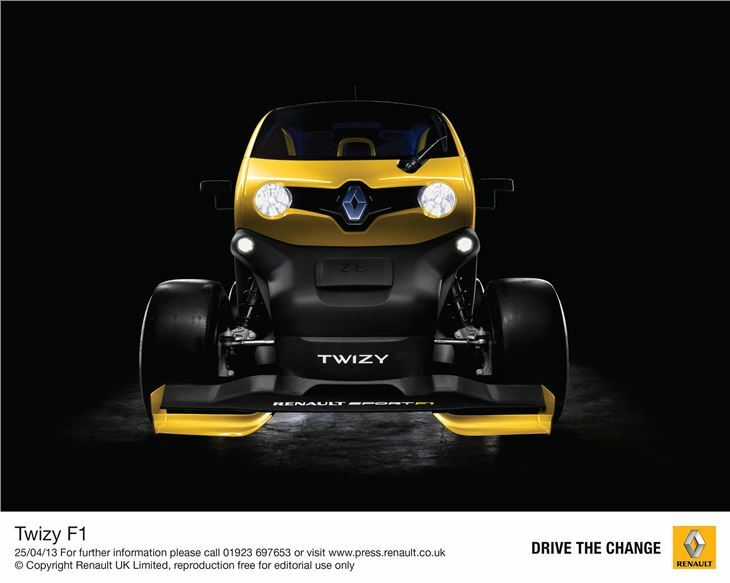 The Twizy F1 weighs 564kg, and the 80PS output gives the Twizy Renaultsport F1s a comparable power-to-weight ratio with the Mégane 265. Although the performance is eye-opening, it's the bodykit that really catches the attention. 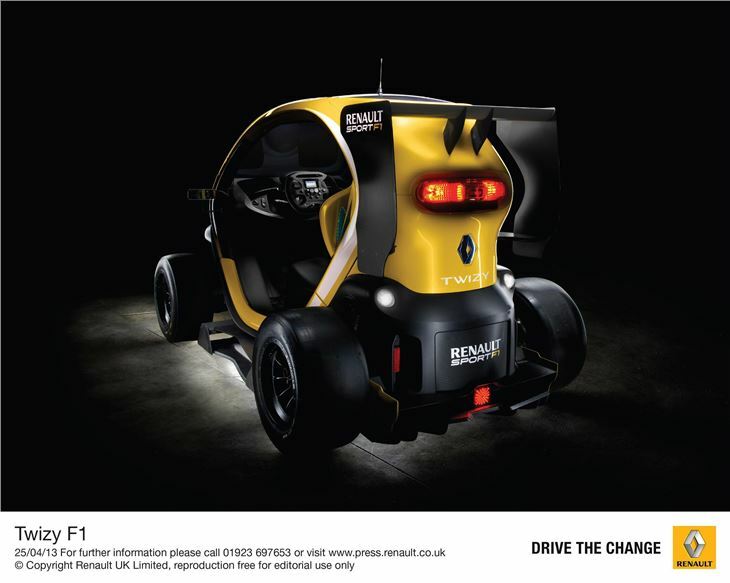 It has oversized front and rear wings, side pods, a rear diffuser, just like a 2013-season F1 car, and the yellow and black colour scheme recalls the earlier Renault F1 cars, such as the 1977 RE01 - the sport's first racer of the turbo era.